Cut-Resistant gloves are necessary for any person doing continuous knife work. If you’re a butcher or a meat carver then Public Kitchen Supply and San Jamar strongly recommend investing in a fitted, strong, cut-resistant glove. 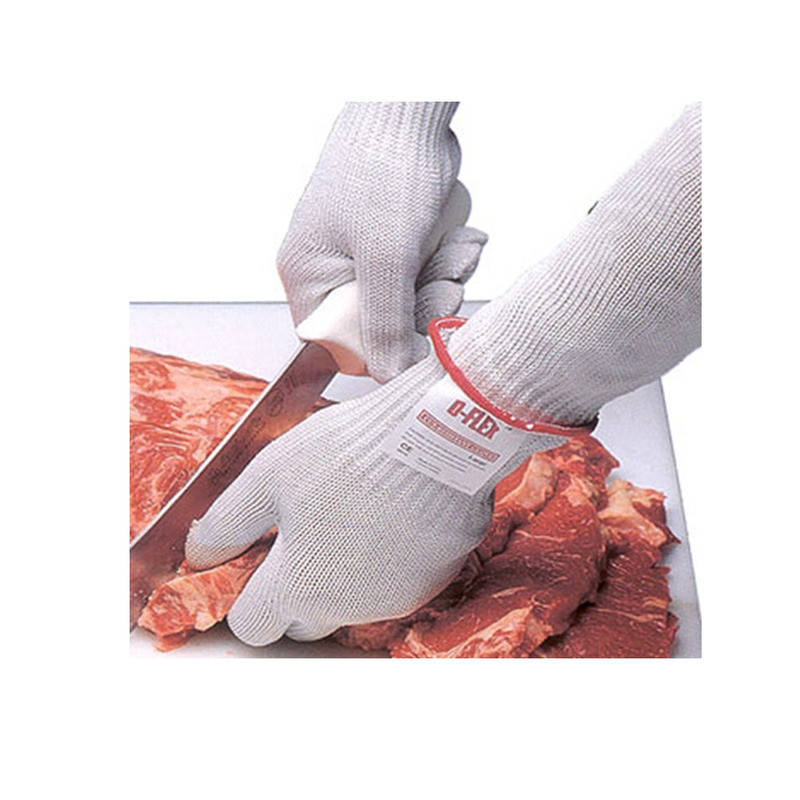 San Jamar's Large Cut-Resistant Glove is a popular choice among chefs and butchers. The Large Cut-Resistant Glove, model DFG1000L, will provide what you need. Model DFG1000L is made from a 10-gauge seamless knit. The seamless knit is rated for ANSI level 4 cut protection. An ANSI level 4 cut protection makes it ideal for The Food Industry. It is the second highest level of cut protection. Model DFG1000L offers superior protection yet is machine washable. You can easily clean the Large Cut-Resistant Glove after a busy day. Keep your Cut-Resistant Glove clean and looking new. San Jamar's Large-Cut Resistant Glove is ambidextrous, making it ideal for multiple employees. For superior protection, Public Kitchen Supply suggests San Jamar's Large Cut-Resistant Glove. Make the safe and smart choice, purchase San Jamar's Large Cut-Resistant Glove.